If you have been following me and my clients for a while, you know that we rarely play with color. The more neutral, the better! But sometimes it is fun to dabble and play with color and color blocking. This holiday tablescape inspiration is by the lovely design eye, Erin from Apartment 34. She has partnered up with CB2 to create a inspiration holiday tabletop. And while it may seem complicated to replicate this, it is actually quite simple. Everything is CB2 product so can be found at their store and then just add a large flower arrangement right tab in the middle. This arrangement was made by Natalie Bowen Designs and you can check out her Instagram for more inspiration. She's got quite the eye and hand for florals! Hope you all enjoy setting the table this holiday! 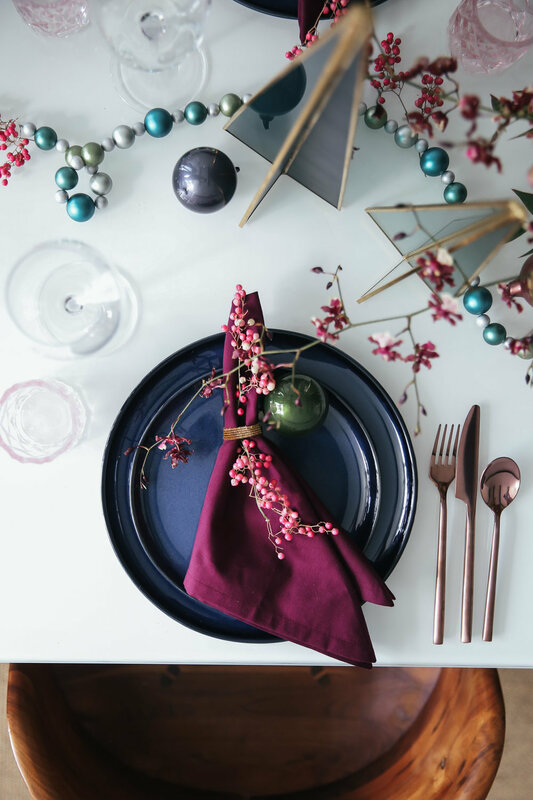 What color palette or holiday tablescape inspirations do you have pinned?